Vitamin C is a powerful antioxidant. It scavanges free radicals in the body and it enables your body to produce collagen. Zinc is another critical factor in maintaining a healthy immune system. Contains 90 capsules. Vitamin C is a highly effective nutrient that plays a critical role in a multitude of processes in the body. It’s an essential vitamin – unlike most mammals and other animals, humans do not have the ability to generate vitamin C on their own. It must be obtained from the diet, however it can be difficult to get enough vitamin C.
Vitamin C is a powerful antioxidant. It scavenges free radicals in the body, removing these unstable molecules as a protective mechanism Not only is Vitamin C highly protective, but it enables your body to produce collagen. Collagen is essential for healthy joints, connective tissue and skin. 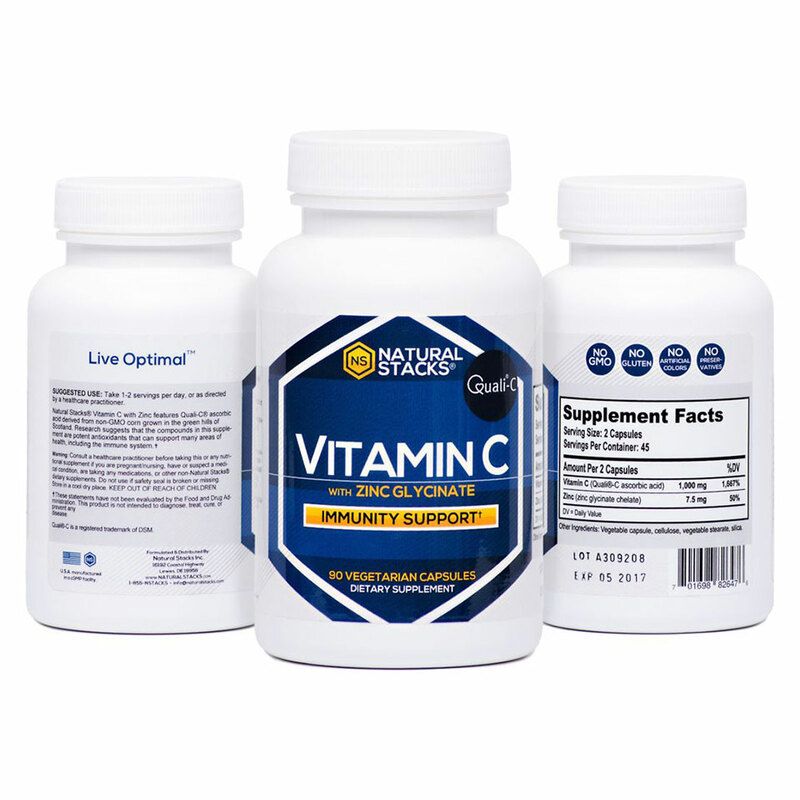 Additionally, Vitamin C helps maintain the health and function of your cartilage, bones and teeth and fortify your immune system, cellular protection, repair and regeneration. Collagen production slows as we age, which contributes to wrinkled and slack skin, aching joints, slow recovery from exercise and injury, and reduced organ function. Studies have found that Vitamin C supplementation can override the natural reduction in collagen, keeping you feeling (and looking) younger and healthier for longer. Zinc is another critical factor in maintaining a normal immune system and normal cognitive function. It’s involved in cell division and replication and contributes to proper growth patterns and sensory development. 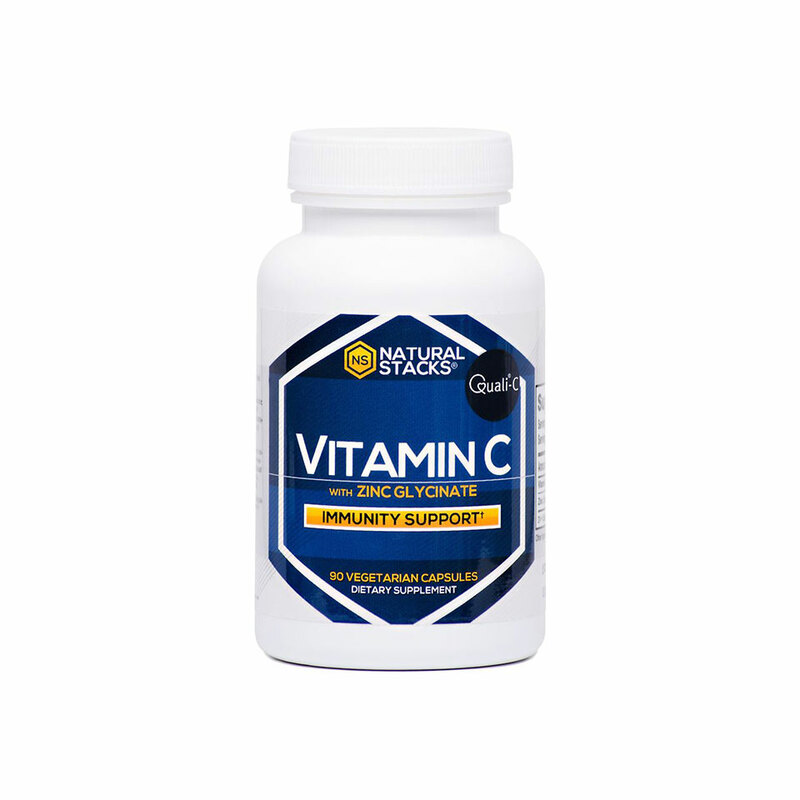 Vitamin C with Zinc is a dietary supplement that falls within the category of vitamins. Suggested Use: Take a serving of 1-2 servings per day, or as directed by a healthcare practitioner. Vitamin C can be taken anytime throughout the day however we suggest not taking it immediately after working out as antioxidants can nullify the insulin sensitivity gained after exercise. *Quali®-C is a registered trademark of DSM. 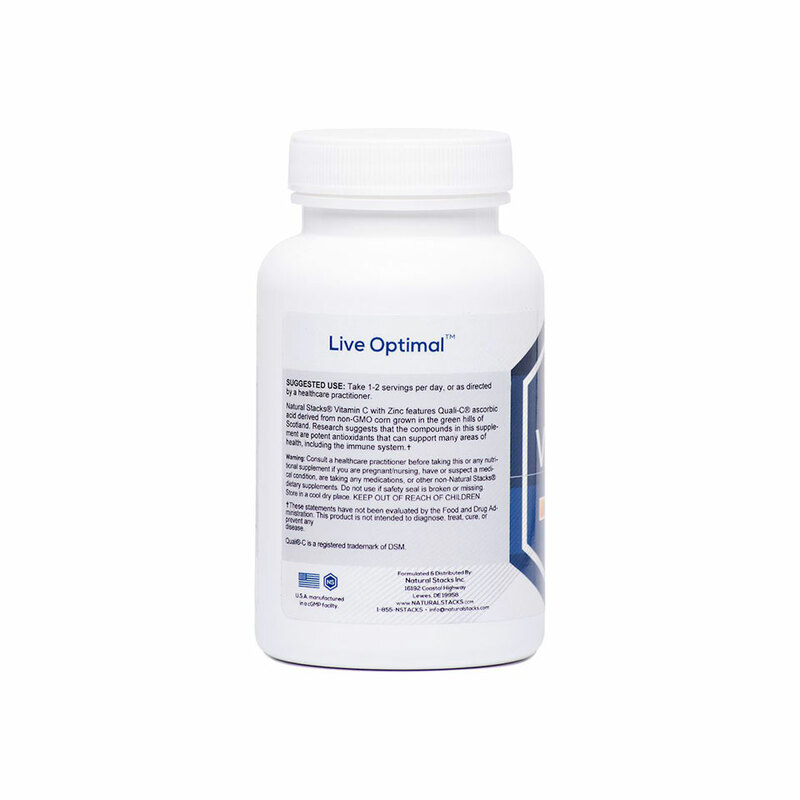 This product is a dietary supplement and is not a replacement for a healthy and balanced diet. U.S.A. manufactured in a cGMP facility. Natural Stacks uses only the highest quality ingredients. Excellent Formula! Will continue to buy as part of my immune system stack. During Stressful seasons Vitamin C is essential! along with all the other natural stacks products, this one is great! The products I bought are great! Thanks for a kick add product.